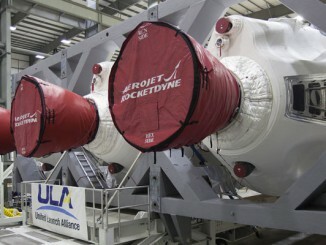 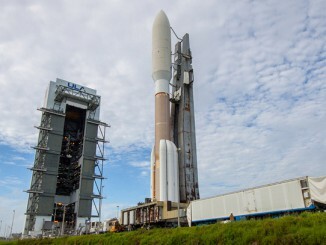 Rolling toward a mid-May deployment of a clandestine spy satellite, United Launch Alliance’s triple-body Delta 4-Heavy rocket moved from its Cape Canaveral assembly building to pad 37B yesterday. 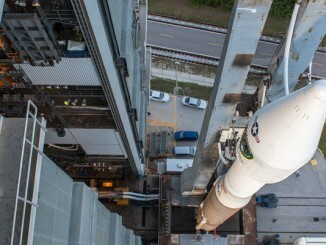 The Atlas 5 rocket emerges from the Vertical Integration Facility for rollout to Complex 41 at Cape Canaveral in preparation to launch the Orbital ATK Cygnus resupply ship to the International Space Station. 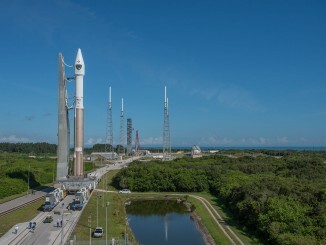 Liftoff is set for Thursday at 5:55 p.m. EST. 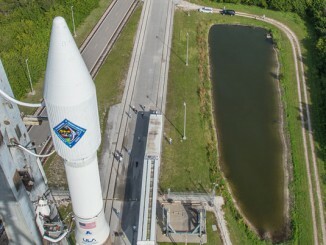 The Atlas 5 rocket emerges from the Vertical Integration Facility for rollout to Complex 41 at Cape Canaveral in preparation to launch GPS 2F-11 on Friday at 12:17 p.m. EDT. 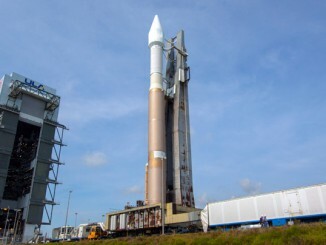 Delivering two-and-a-half million pounds of ground-shaking thrust at takeoff, more than any rocket flying from Cape Canaveral these days, the mighty vehicle was rolled from its assembly building to the launch pad Monday for Wednesday’s early morning blastoff. 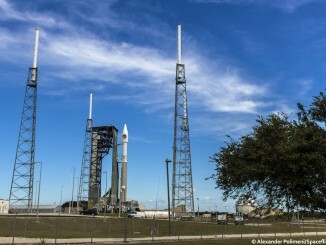 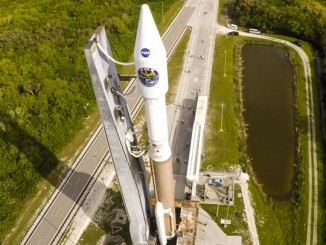 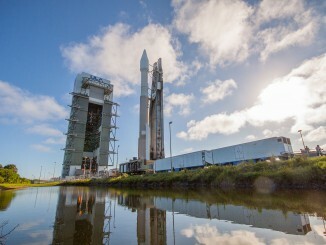 Returning to the days of rollouts and launches in a span of only a few hours, the United Launch Alliance Atlas 5 program is looking to resume this whirlwind experience. 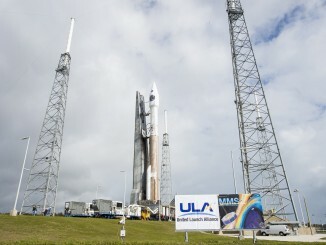 The United Launch Alliance Atlas 5 rocket was rolled out to the launch pad at Cape Canaveral’s Complex 41 on Wednesday morning, emerging from the Vertical Integration Facility assembly hangar where the two-stage rocket was put together.